Who does not like more traffic on their blog? Apart from usual SEO, Social Media there is one thing call bribing which can do wonders for you to get more traffic. Don’t mistake me when I use word Bribe, as it’s a white-hat method that makes you & your readers both a winner. The key here is to offer downloadable stuff to your readers in exchange of tweeting about it. Kind of Social Currency! If you are online for a while, I’m sure you must have seen few websites who offers downloads only when you share it on Twitter or Facebook. This technique which I’m sharing is specifically for Twitter. If you are looking something similar for Facebook & other social networking sites, you should check out Social locker WordPress plugin. So, the plugin that you will be learning about in this post is call Pay with a Tweet, which is a free plugin. It is such an awesome plugin for WordPress bloggers to make their content viral & get more traffic. 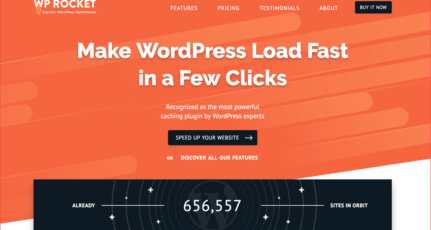 Harsh is already taking advantage of this technique with his popular free WordPress eBook. (Though he asks user to tweet in his email newsletter). This guide will help you to understand everything about Pay with a Tweet plugin & how to use it. Feel free to drop a question in the comment section below. This is a free plugin & could be downloaded from WordPress plugin repo here. Once you have installed & activated the plugin, follow the instructions below to setup this plugin. 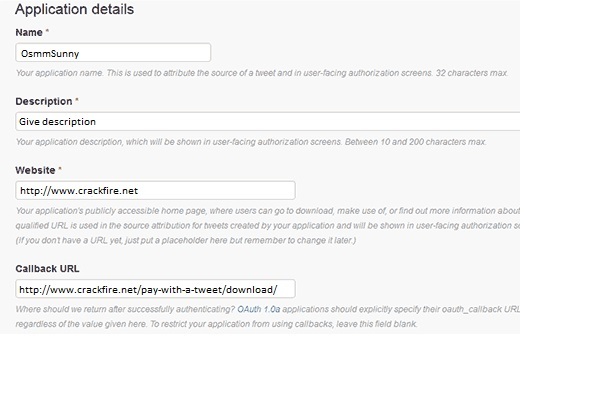 Now, you have to create a Twitter App to fill the above form. Go to Twitter Developers to build a Twitter app. Sign in with your Twitter username and password, and then click on your account name on the top right corner of the screen. You need to click on My Applications to proceed. Now, Click on create new app button. On the next screen, you have to fill required detail such as your name, description, website, callback URL and then click on create your application form. After this, Twitter redirects you to APP dashboard, and you can see headings like detail, Setting, API keys, Permission. Go to the permission section and change permission mode to read and write. Copy the consumer key & consumer secret from here to your plugin settings. 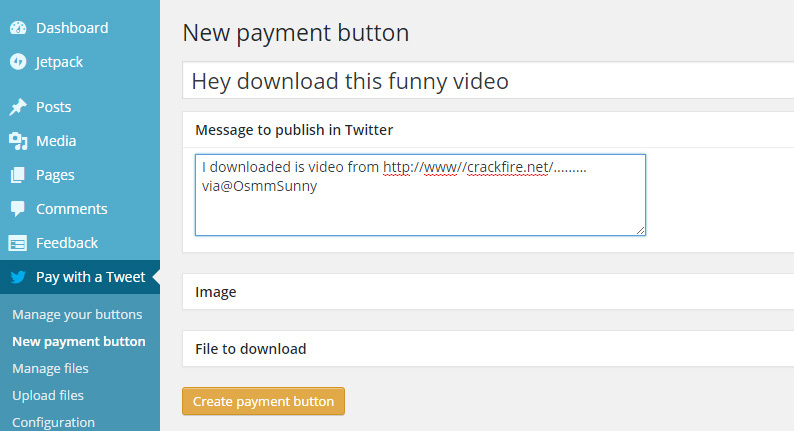 Now, next step is to upload the file using Pay with a tweet. You can always convert your best post into PDF & offer as downloadable content. You can also offer an eBook or stuff like checklist, slides as a downloadable content. This is just a basic idea for all & you should use something based on your blog & kind of audience you have. Lastly after all this you will see a WordPress shortcode. 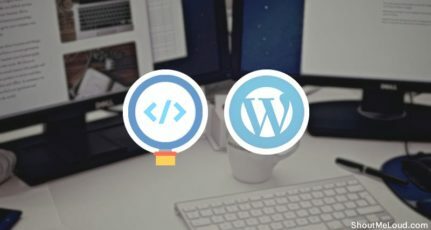 To display your Pay with a Tweet button in a WordPress post or page, you need to copy & paste this shortcode into any blog post or page where you want to display pay with a tweet button. This plugin also offers widget option that you can use to offer a downloadable file in your sidebar or widget section of WordPress blog. It’s kind of funny to think that many bloggers offer free to download but don’t take advantage of such free offerings to make their downloadable viral & drive more traffic at the same time. Do let me know if you have ever used Pay with a tweet or something similar to drive traffic to your blog? How’s your experience & any tips for newbies to make most out of it? This article is contributed by Sunny Saini. 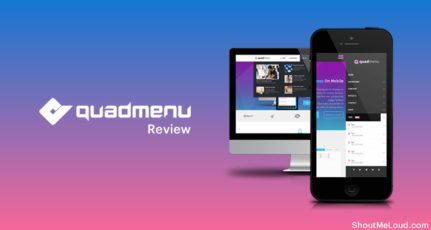 If you would like to share a unique & useful article for ShoutMeLoud bloggers community, read our contribution guidelines. Sunny Saini is part time blogger and very passionate about blogging. He loves to talk about Tech, SEO. so, He made his own website crackfire.net. This is a neat idea. I go back and forth on it. On 1 hand I like to give some stuff away without conditions. But I also dig getting a traffic boost with my giveaways. If you can get clear on it, go for it. Like charging a price for your giveaway but not charging money, but a tweet. That works for me. Why not generate a bunch more traffic while giving your readers something delish to chew on. Yeah. I dig it. Sunny, thanks for the smart share. This reminds me of content lockers but maybe it’s a less aggressive, more relaxed approach to getting freebies with a simple little condition in place, and the deal prospers both parties. Cool idea. Thanks for this step by step tutorial. Twitter is one of the leading social network to offer massive traffic over the world. from past few days i was looking for a pathway to utilize twitter traffic for my blog. This post has helped a lot to extract traffic from twitter. Sunny, Good info.but can u advise on my website missings? As I’m new to blogging but passionate about it. Glad to be here at Shout Me Loud once again. What an awesome post about WordPress plugin Pay With A Tweet. which help us to increase our blog traffic. Your step by step guidance make it easy for blogger to understand. Hey Sunny, this idea is cool. I am 100% positive about using this for my next blog. Cheers! Another great post! I recently recommended this exact plugin to a client who was having a traffic problem and helped them craft a free download to giveaway to use with it. It worked extremely well! Just wanted to vouch for this method. Love your posts, keep ’em coming!